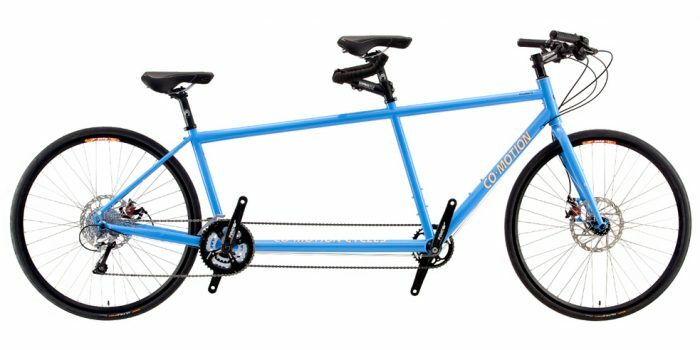 Co-Motion designed zonally-butted Reynolds 631 air hardened chro-moly tandem tubing with Dual TRP disc brakes, Dual Gates Carbon drive & timing belts, Rohloff 14 speed rear hub giving you equally spaced gears 19-100”. 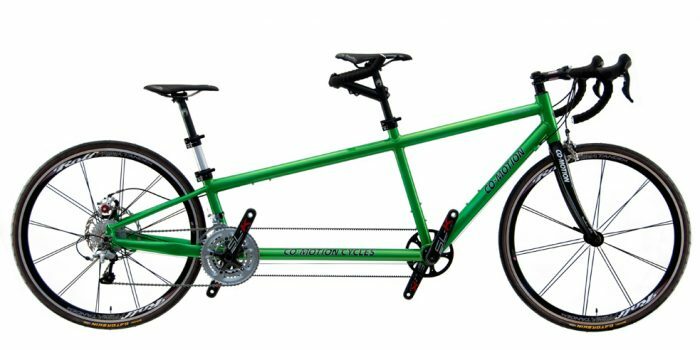 700c wheels with rack and fender mounts make this an ideal touring tandem! 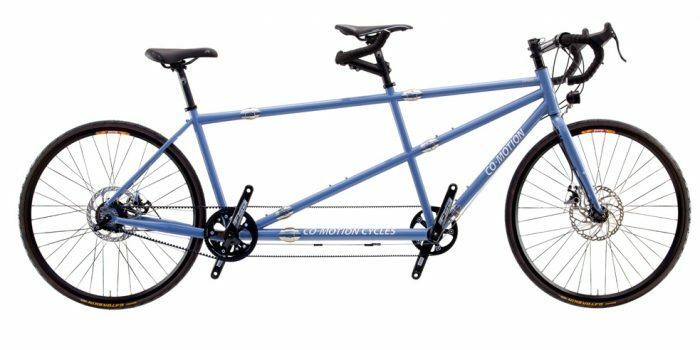 Memphis Blue Handbuilt in Eugene Oregon the Bluebird has upright bars for an easy style and rideability with rack and fender mounts. 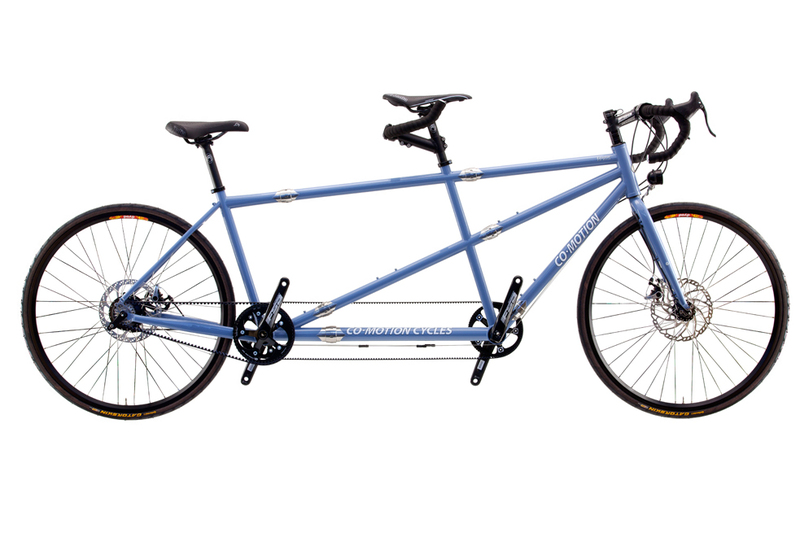 Enjoy the summer with a Co-Motion Java tandem. 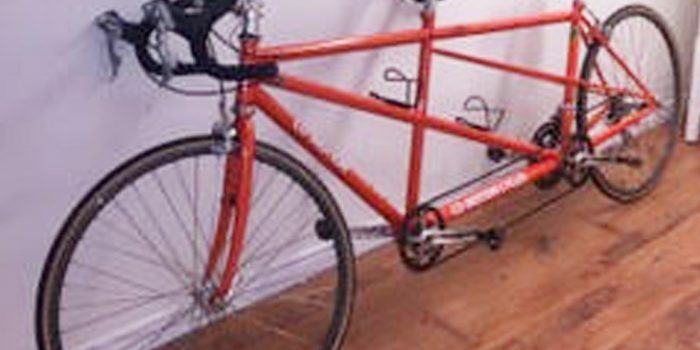 The bike has maybe 200 miles on it, and it is like new!